The only place that I know in this moment is the adesign website (see 2nd link in the post). 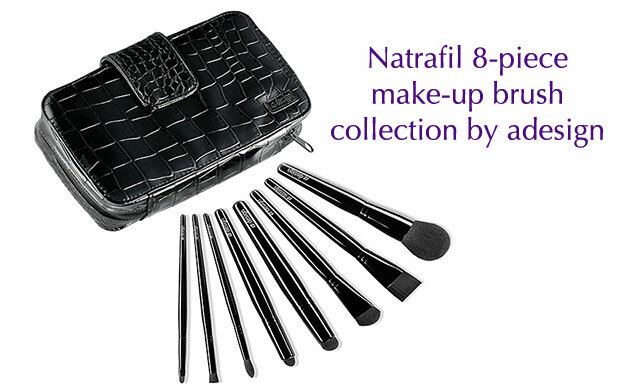 I think that they don’t sell brushes separately, but just in collection (100$ for 8 pieces). Their prototype was quite incomplete at that time, but I think that they have upgraded it, since they also added new shapes. I haven’t tried these new one yet. Honestly, I hardly say if those are ok for a beginner, cause I don’t know what you use and need exactly…for eyeshadow for wet application…I guess. I work very good with all Natrafil brushes because they allow more precision. They also sell them in collection, they are made from Natrafil too, but they are more classical shaped and so in my opinion better for a beginner.